Give us a call locally (205) 758-7923 . Stop by and see us Tuesday - Friday 8:30-4:30. We would love to help you with gifts, bulk items, concession supplies and more! Beginning April 22nd, we will be closed on Mondays for the summer. The Nut Shop began with the birth of an idea. In 1992, the Williams family decided to roast and sell peanuts out of their store. Due to the demand of their delicious product they expanded and began selling their peanuts wholesale to eight different stores within their local area. The success of the Nut Shop is such that they now service over 100 stores in East Mississippi and West Central Alabama. We now offer Franchises in areas of Alabama and Mississippi. With the change of time, so came the request to expand from just the roasted peanut. 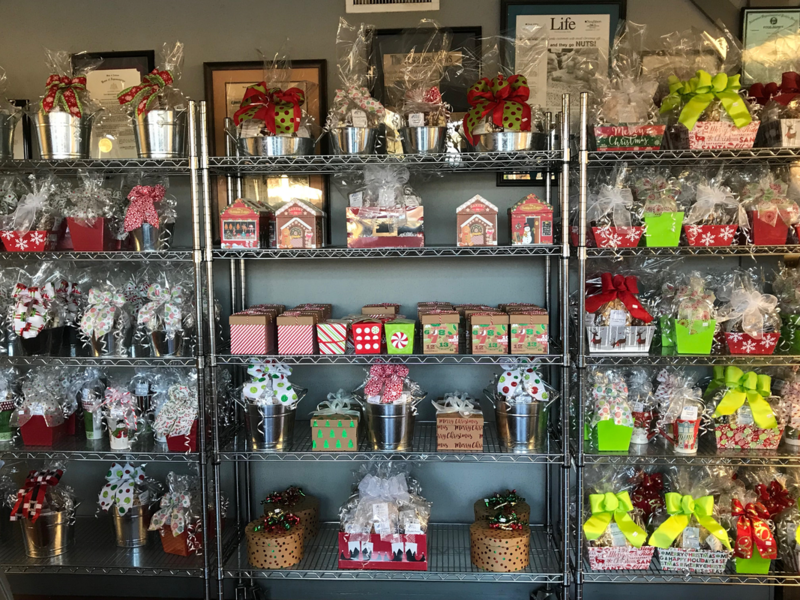 The Nut Shop now offers over 60 items, both retail and wholesale, which can be purchased separately, in a gift tray, or gift basket. Not only does the Nut Shop’s sales include corporate sales, but we also sell industrially. The Nut Shop’s goal has been, is, and always will be to offer the best quality, service, and flexibility. They strive to package their products the way you, the consumer, request. The Nut Shop ships orders with tags and personalized messages at no additional charge. The Nut Shop will in no way solicit business from those receiving packages. All orders are shipped via UPS with charges calculated at time of purchase. All personal information is kept completely confidential and will never be given out or sold to any outside mailing lists.